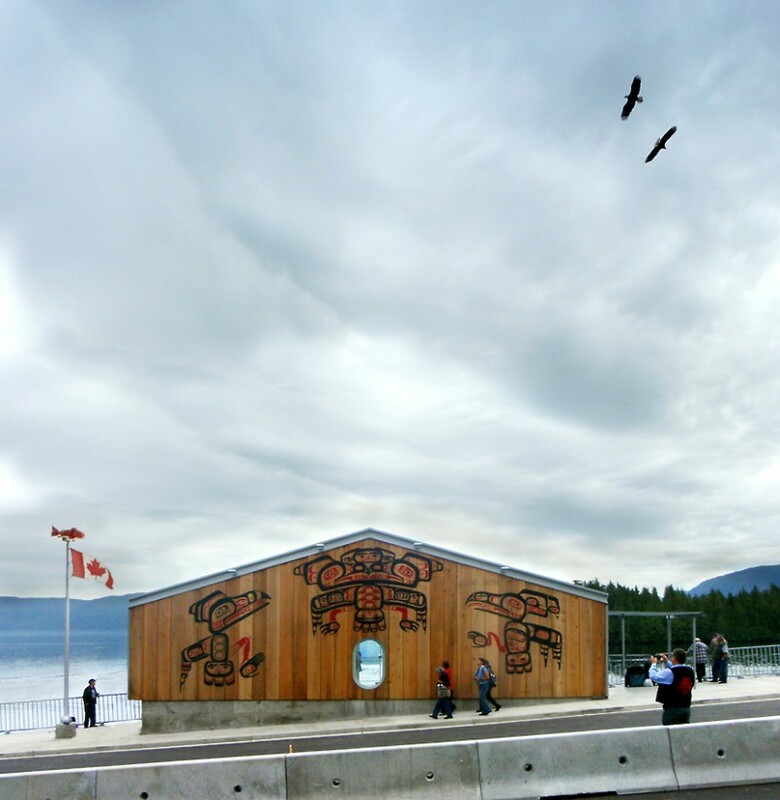 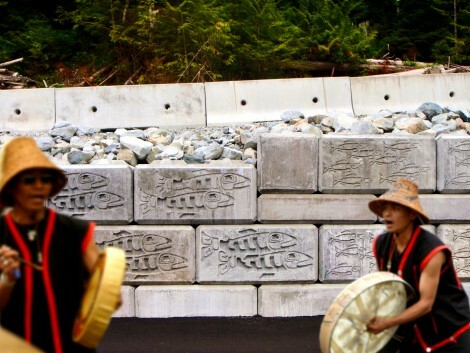 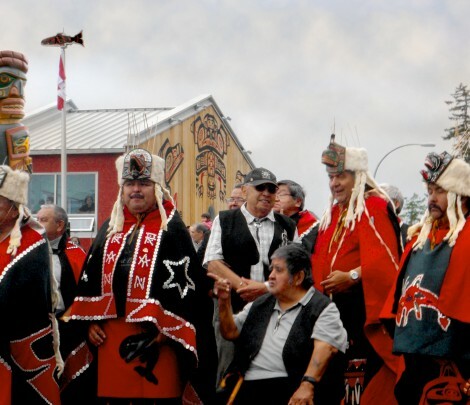 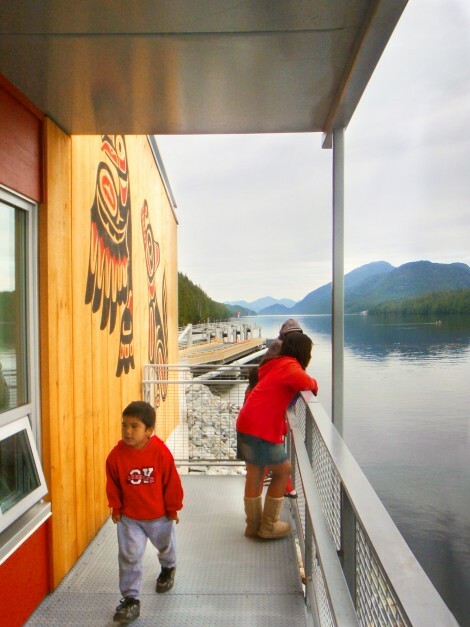 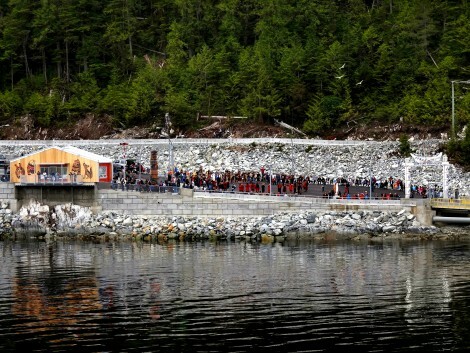 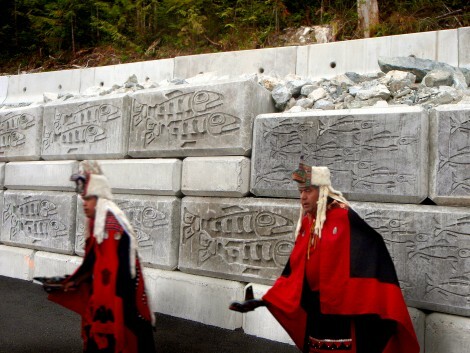 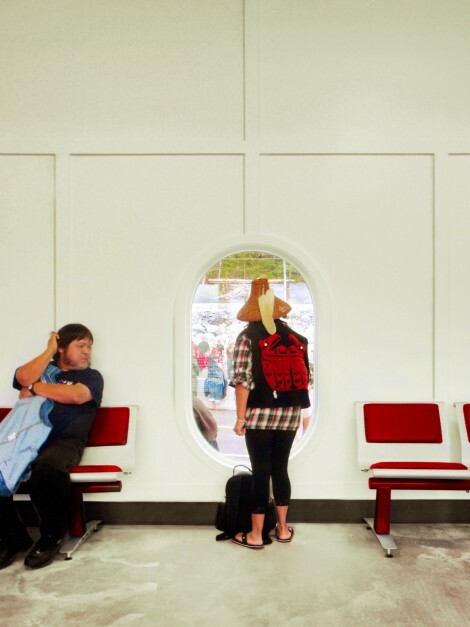 Completed in 2011, the highly unique BC Ferries Klemtu Terminal reflects the culture of the Kitasoo and Xai’xais First Nations people. 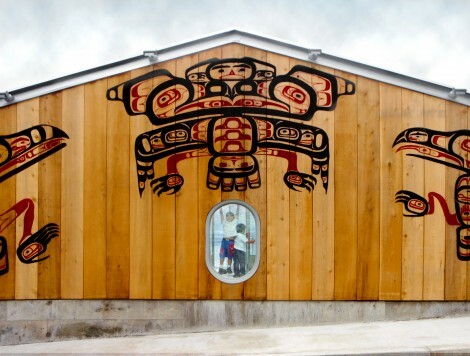 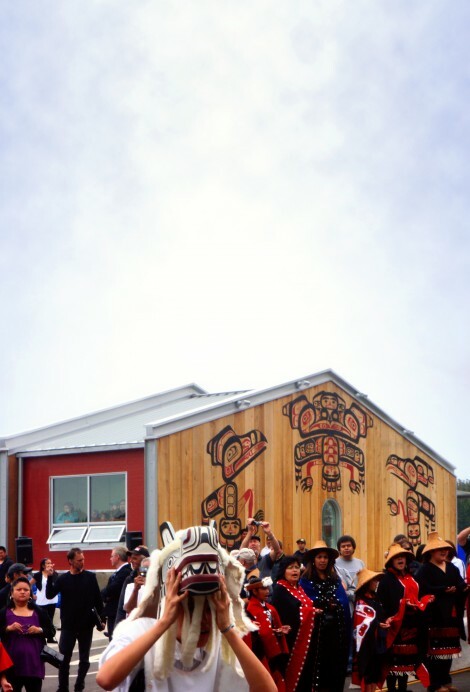 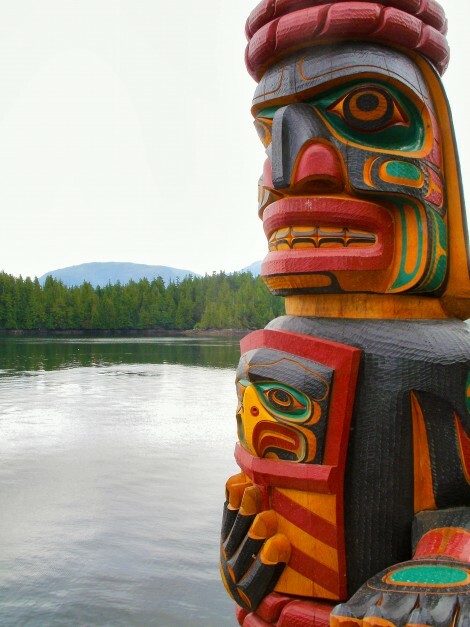 The design is rich in iconography and features a gateway canoe symbolizing the creation legend of the community, waiting building evocative of a traditional longhouse, a welcome pole by master carver Tom Hunt, salmon weathervane, carved crest for the Spirit Bear Lodge and concrete lock-block walls embedded with relief sculptures of salmon and herring. 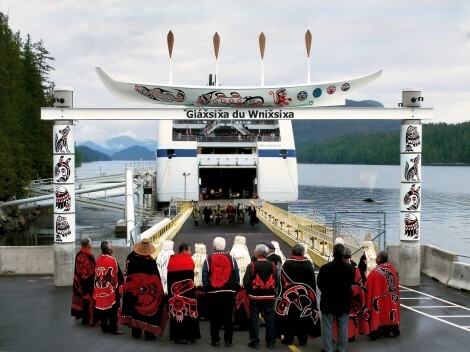 Goods, services and visitors now flow to and from the community with greater ease, creating economic opportunities while sharing the unique local culture with tourists and visitors.